Even in the early days of Pakistan, Bangabandhu had understood that there was no alternative to attaining independence. Consequently all his activities were directed at attaining independence for the country. After independence, the establishment of BKSAL was also aimed at the welfare of the nation. Many of his policies were later adopted by Zia and Ershad. 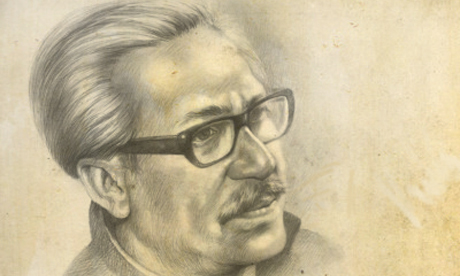 M Nazrul Islam’s “Bangabandhu Sheikh Mujibur Rahman Souvenir 3” compiles articles by educationists, journalists, judges and other intellectuals who elaborately explain Bangabandhu’s times and his political philosophy. Justice Golam Rabbani in his article says: On May 8, 1947 Sharat Bose and Abul Hashim had made a move for an independent Bengal but it could not be realized because of the hindrance of Mahatma Gandhi, Jawaharlal Nehru and Mohammad Ali Jinnah. Soon after the creation of Pakistan in 1948, the Bengalis of East Bengal, which is now Bangladesh, opposed the Pakistan government’s proposal of making Urdu the only official language of Pakistan. Bangabandhu was part of the protests against imposing Urdu. “Soon, unknowingly he was the center of activities,” Justice Rabbani writes about Bangabandhu in the early days of Pakistan. The deceased editor of the Bengali daily, Dainik Sangbad, Bazlur Rahman, in his article writes about a meeting between Bangabandhu and Communist Party leaders Moni Singh and Khoka Roy in 1962. During the meeting, Singh and Roy raised the issues of democracy, autonomy and the rights of workers and peasants. Bangabandhu told them that the Pakistanis were not going to accept any demand, peacefully. Everything would have to be fought for. Despite disparaging remarks about BAKSAL, both Zia and Ershad incorporated four issues from BKSAL’s programme. They are: National unity, routing corruption, family planning and increasing production. 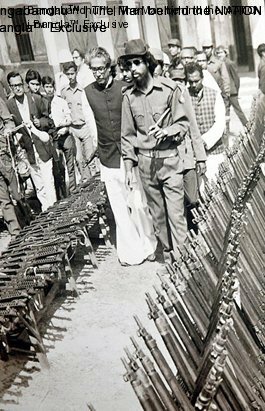 These were to form part of Zia’s 19-point programme and Ershad’s agenda, too. 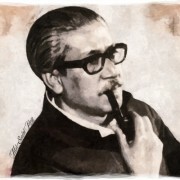 The reactionary forces who captured the state power immediately after Bangabandhu’s demise rightly understood that the deceased Mujib is more powerful as the deep rooted image of Bangabandhu cannot be wiped out from the heart of the Bengali unless an ill-designed anti-thesis against Mujib’s ideology could be introduced. So, they initiated the process of history distortion with a view to demeaning Mujib’s image. The irony is that the major beneficiary of Bangabandhu’s killing was the valiant freedom fighter General Ziaur Rahman. In spite of being a freedom fighter, Zia did not hesitate to be a part of the blueprint of the evil forces. The reactionary forces speculated that if the new generations, who had not witnessed the war of independence, could be kept in the dark concerning the history of our liberation and the contribution of Bangabandhu, they would be successful one day. To serve this purpose, keeping Zia in front they started to distort and fabricate our war history. Not only this, the process of tarnishing the image of Bangabandhu had also begun during Zia’s regime. Reactionary forces have brought many baseless accusations against Bangabandhu. The following paragraphs attempt to counter some of these allegations. BAKSAL formation: Many have claimed that it was none but Bangabandhu who killed democracy and established authoritarian rule by introducing BAKSAL. On the surface, this seems to be true. But this becomes half-true if we objectively analyse the rationale behind introduction of BAKSAL. In fact, it could be argued that democracy loving Bangabandhu was bound to embrace authoritarian rule in accordance with the demand of the time. The very objective of BAKSAL was to establish socialism following Soviet model. At that time, socialism had a special appeal to the common people. If we analyse the Russian experience then it can be claimed that Soviet model was a proven model for economic emancipation. Within a short span of time the backward feudalist country Russia became one of the superpowers providing the poor with all sorts of basic needs. Besides, BAKSAL was formed in a democratic way through proper discussion in the parliament, and many people of the country, including leading intellectuals, journalists and other professional, welcomed it. However, right now, no conclusive remark on BAKSAL is possible as it died at its infantile stage. Question of Secularism: Ideally a secular state should be indifferent to religion-religion should be the private domain of a citizen. 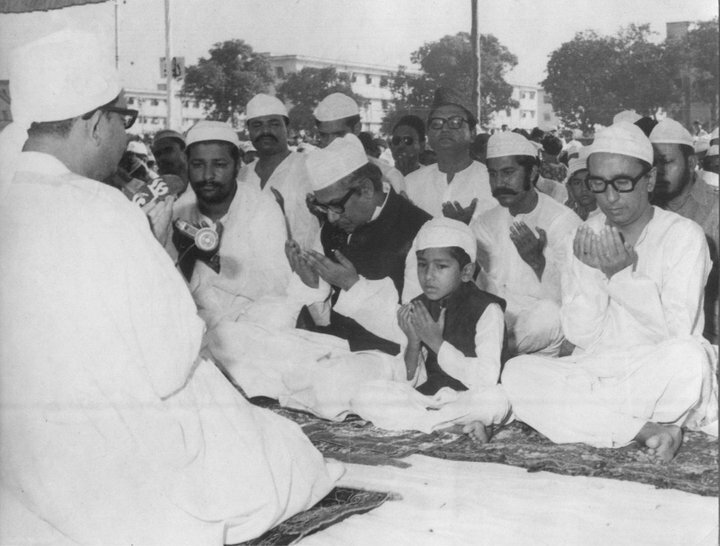 But to Bangabandhu, secularism meant restricting the communal politics and giving equal emphasis to all religions. For this, 1972 Constitution banned religion based politics. Religion based communal politics leads to extremism and anarchism disturbing communal harmony. Analysing the consequences of activities of religion based parties worldwide we can claim that banning such politics was a pragmatic spirit of our Constitution. However, Bangabandhu defined secularism is no way anti-Islamic. We can observe that during his time, as the leader of a major Muslim country by dint of population, he was very eager to build good relationships with other Muslim countries and Bangladesh became a prominent member of OIC. 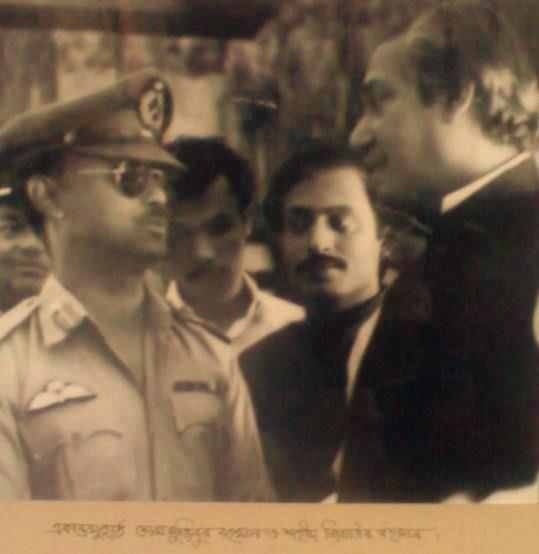 Even before Bangladesh received recognition from Pakistan, he invited and received Z A Bhutto in Bangladesh just to improve the bilateral relation with the major Muslim country in the sub-continent. In this context, J. N. Dixit, who was stationed as Deputy High Commissioner of India after our independence has stated that Mujib believed Bangladesh should give priority, not just to its Bengali linguistic and cultural identity, but also, to its Muslim identity. So defining Bangabandhu’s secularism as atheism is mere propaganda. Declaration of independence: This debate was initiated during Zia’s regime. The context of our liberation had not been created in a day. Rather it had a long history starting from the Language Movement in 1952. It was not that one fine morning in March 1971, an unknown major (Zia was then a mere major in the East Bengal Regiment!) declared independence and people started the war. The fact is, prior to our liberation war, for about half a decade under the magical leadership of Bangabandhu, people were fully motivated to be emancipated from Pakistani colonial regime. Moreover, the proclamation of independence of the provisional government also confirmed Bangabandhu’s declaration. The historic March 7 address of Bangabandhu can also be treated as a declaration of independence. However, the recent historical verdict of the apex court, perhaps has resolved the issue. Rakkhi Bahini issue: The objective of formation of Rakkhi Bahini was to support both the army and police forces to maintain some semblance of law and order in the war-ravaged country. After independence, some leftist extremists inspired by the Naxalite movement were engaged in various underground activities including killing, which, in turn led to total collapse of law and order of the country. Besides, the defeated “Islamic political fanatics” went underground and started their destructive politics by joining other extremist groups. The law and order situation became so bad that even in broad day light these groups dared to kill their political rivals. In this context, killing of four sitting members of parliament at that time can be cited. In this critical context, Bangabandhu decided to form Rakkhi Bahini, a paramilitary force. Perhaps Bangabandhu wanted to promote freedom fighters and so most of the members of Rakkhi Bahini were recruited from freedom fighters. In addition to police forces, creation of additional forces was not unprecedented in anyway. In this context, existence of National Guard in USA and RAB in Bangladesh can be mentioned. The Rakkhi Bahini worked successfully to control the political anarchism as initiated by the extremist groups. In 1974, it successfully carried out an operation against hoarders and smugglers. However, in some cases Rakkhi Bahini committed excesses and these should have been prevented. In conclusion, it may be stated that, although Sheikh Mujib was a great leader, he was not by any stretch of the imagination a prophet, or superhuman. As a politician too, no doubt he had some limitations. Researchers in future will hopefully unveil this using authentic history and considering the socio-economic and political context of that time, both nationally and internationally. But distortion of history with a view to tarnishing the great leader cannot be acceptable at any cost. The genre of biography has been undergoing lots of changes in terms of themes and styles ever since the publication of Boswell’s Life of Dr. Johnson (1791). While Boswell’s work is regarded as the finest literary biography ever written, and still enjoys its status as ‘a classic of language’, many other biographies assume the role of history. As Thomas Carlyle put it in his Heroes and Hero Worship (1840) “the history of the world is but the biography of great men”. Ralph Waldo Emerson was more advanced than Carlyle in this regard. He aimed at closing the gap between biography and history in his Essays: First Series (1841). To quote: “There is properly no history; only biography”. The tendency to overlap between biography and history has come down to us. Syed Badrul Ahsan’s biography of Sheikh Mujibur Rahman, too, is not an exception. It deliberately distances itself from Boswell’s treatment of the genre, and leans more towards Carlyle’s and Emerson’s notion about biography, allowing a considerable overlap between the two subjects. This is for obvious reasons. The subject of Boswell’s biography was Samuel Johnson (1709-1784), popularly known as Dr. Johnson, who was an English poet, essayist, moralist, literary critic, biographer, editor and lexicographer, and ‘arguably the most distinguished man of letters in English history’, while the subject of Ahsan’s biography is a Bangladeshi pre-eminent politician and statesman, arguably the best Bengali ever, and honoured in Bangladesh as the father of the nation. Both subjects are larger than life characters — the former being presented artistically with utmost creativity, originality and literary skill and the latter historically by a gripping but candid narrative. While there is a growing trend of muckraking biographies all around the subcontinent, Ahsan focuses on the significant things needed to be brought to light to deal with the subject of his study. Even Mahatma Gandhi’s biographers —Joseph Lelyveld or Jad Adams or Nehru’s biographer Stanley Wolpert orIndira Gandhi’s biographers — Pupul Jayakar, Zareer Masani, Inder Malhotra and Katherine Frank tried, on the pretext of writing biography, to wash their subjects’ dirty linen in public. The subjects of their biographies may have had feet of clay, but that hardly overshadows their achievements and hence should not be treated with a view to tickling popular fancy. With this end in view, the biographer seems to have done that job to the best of his ability. He has been a writer and journalist for about three decades now and written considerably on Bangladesh politics, South Asian history, American presidential history, Soviet and Chinese communism and politics in post-colonial Africa. 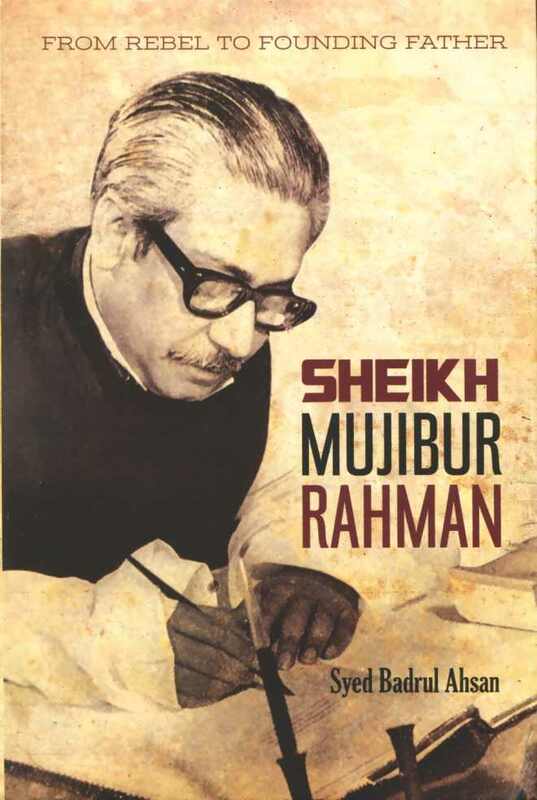 To write about the tumultuous events of the Bangladesh Liberation War (1971) and of the life of Sheikh Mujib was always a deeper passion with him which he, perhaps, inherited from his father. In his own words: “My association with Sheikh Mujibur Rahman… began in early 1968 when I heard my father speaking in whispers with his colleagues about the charge of conspiracy laid at Mujib’s door by the Pakistan government. My father’s conviction was absolute: Mujib, a believer in constitutional politics, was made of better stuff.” But he never killed his passionate subject of writing with kindness or emotion. His intellectual rigour, emanating from his research as a Fellow at the Jawaharlal Nehru Institute of Advanced Studies on three major Bengali political figures–Chittaranjan Das, Subhas Chandra Bose and Sheikh MujiburRahman — has found expression in this biographical account. 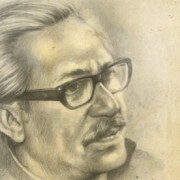 Ahsan tries quite arguably to establish Mujib as the most inspirational figure in Bangladesh politics by portraying the transformation of his role spread over a period of about three decades, starting from the Bengalis’ struggle for self-dignity and ending in the War of Independence, and even after he was killed. 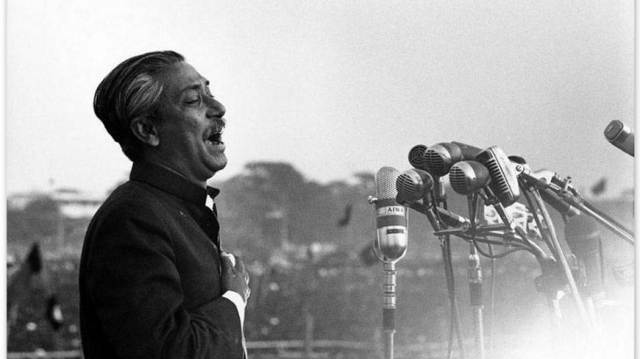 As Ahsan puts it in the preface of his book: “…in the broad perspective of history, Sheikh Mujibur Rahman remains a metaphor for Bangladesh and for its long sustained struggle for freedom. In life he was the Bengalis’ spokesman in the councils of the world. In death, he continues to be a powerful voice, forever ready and willing to speak for those who yearn for freedom and national self-dignity.” Ahsan tells us the story of the “rebel who did not give up and because he did not, Bangladesh was born.” What Stanley Wolpert said about Mohammad Ali Jinnah is more applicable to Mujib. To quote: “Few individuals significantly alter the course of history. Fewer still modify the map of the world. Hardly anyone can be credited with creating a nation-state. Mohammad Ali Jinnah did all three.” Ahsan must have meant to say that Mujib, too, did all three and he did them in a far better and more successful way than Jinnah. A perfect foil for Jinnah, he altered the course of history by aborting Jinnah’s so-called ‘two-nation theory’, modified the map of the world by demarcating 56,000 square miles for a new-born country and created a nation-state called Bangladesh. And how a young follower of the All India Muslim League had gradually been transformed into a veteran political leader, who led his country and people from the front to the way to independence through a revolution and finally was consumed by a counter-revolution, constitutes the factual plot around which Ahsan’s biography revolves. Ahsan’s book showcases all the historic events associated with the political birth of Bangladesh under Mujib’s able and charismatic leadership. He has substantiated his proposition with facts and figures which speak for themselves. The book is organized into seven parts, beginning with Mujib’s initiation into politics in the late 1930s and ending in his murder, and tags a postscript on to its end which is germane to the core parts. The core parts discuss at necessary length subjects/issues/events/matters like Mujib’s initiation into politics, Awami Muslim League, Pakistan after Jinnah, Language Movement, Mujib as an emerging star, politics in crisis, at the epicenter, martial law and Tagore, taking charge after Suhrawardy,1965 war and East Pakistan, Six-Point programme, rise of Bhutto, Agartala and resurgent Bengal, Bengal’s spokesman, Pakistan’s prime minister in waiting, Road to Bangladesh, Genocide and Mujibnagar, Trial in Mianwali, Triumph in Dhaka, Flight to freedom, Mujib in power, Shaping foreign policy, Emerging cracks, Mujib in Lahore once more, Gaining UN, losing Tajuddin, From pluralism to second revolution and Murder of Caesar. That Syed Ahsan writes good English is well known to his readers. His biography has been written in a lucid style. The liberal interpretation of facts and niceties of argument have endowed the book with the qualities of a successful biography. The pictures used in the book have added to its merit. It’s sure been worth a read. The good writer has more claim to the book’s success than anybody. From Rebel to Founding Father—Sheikh Mujibur Rahman—is a prized inclusion in the list of Mujib biographies in English. 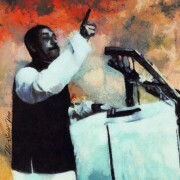 The 7th March speech of Bangabandhu was the definitive commencement of Liberation war. The independence of Bangladesh was declared by Sheikh Mujibur Rahman through a message on 26 March 1971 just before he was arrested at about 1:30 a.m. This declaration of independence marks the beginning of the Liberation War. Soon after the Pakistani army crackdown on the night of March 25, 1971,the first declaration of independence was made over the radio by M. A. Hannan. According to the English language newspapers from around the flashed around the world on news wires on the evening of March 26, 1971 and the world came to know about the independence of Bangladesh from Sheikh Mujibur Rahman’s original message received in Calcutta on the morning of March 26 and from broadcasts from Swadhin Bangla Betar Kendro on the evening of March 26. The Statesman and The Times of India from India; Buenos Aires Herald from Argentina; The Age, The Sydney Morning Herald from Australia; The Guardian from Burma; The Globe and Mail from Canada; Hong Kong Standard from Hong Kong; The Jakarta Times from Indonesia; Asahi Evening News from Japan; The Rising Nepal from Nepal; The Manila Times from the Philippines; The Straits Times from Singapore; The Pretoria News from South Africa; The Bangkok Post from Thailand; The Daily Telegraph, The Guardian, The Times of London from the United Kingdom; and, Baltimore Sun, The Boston Globe, Chicago Tribune, Christian Science Monitor, Los Angeles Times, The New York Times, The Philadelphia Inquirer, San Francisco Chronicle and The Washington Post from the United States. 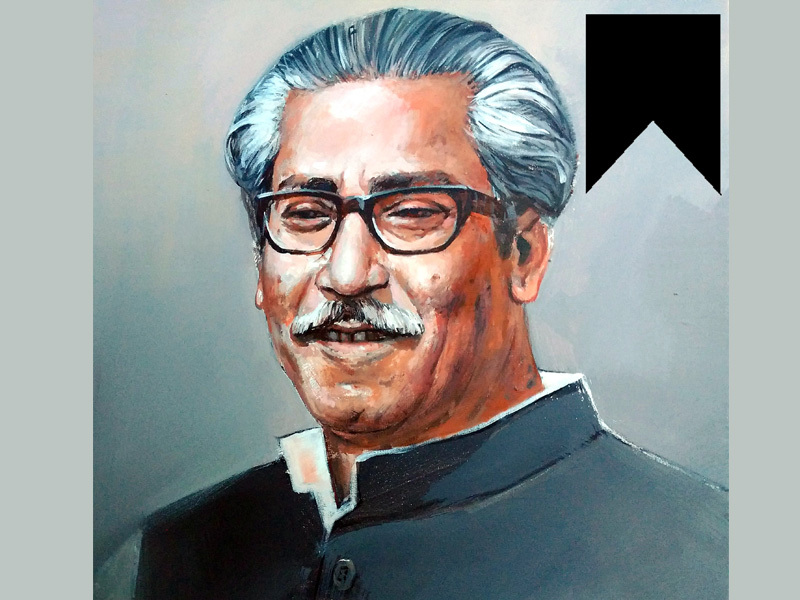 Bangabandhu dictated the declaration through telegram, A telegram containing the text of Sheikh Mujibur Rahman’s declaration reached some students in Chittagong. The message was translated to Bangla by Dr. Manjula Anwar. The students failed to secure permission from higher authorities to broadcast the message from the nearby Agrabad Station of Radio Pakistan. The Kalurghat Radio Station’s transmission capability was limited, but the message was picked up by a Japanese ship in Bay of Bengal. It was then re-transmitted by Radio Australia and later by the British Broadcasting Corporation. Abul Kashem Sandeep translated the message to broadcast. Sheikh Mujibur Rahman made two broadcasts on Friday following the Pakistani troops move to crush his movement, says UNI. Announcement of the declaration of independence by Major Zia on behalf of Bangabandhu, There are Major Zia declared the independence on behalf of Sheikh Mujibur Rahman. # Maj. Gen. Hakeem A. Qureshi in his book The 1971 Indo-Pak War: A Soldier’s Narrative, gives the date of Zia’s speech as 27 March 1971. # MASSACRE by Robert Payne, Publisher : The McMillan Company New York. Major Zia’s declaration of independence on behalf of Bangabandhu was made controversial over an Very few people heard this declaration and Major Zia’s famous “Ami Major Zia Bolchhi”. Our history has undergone huge twist at the hands of vested quarters. Some people claim that Zia declared himself as provisional commander in chief. In fact Zia made two speeches. When this unauthorized speech created confusion among the people, the Awami League leaders asked Zia to read out a text prepared by A. K. Khan. Zia followed the suggestion, and made a second speech, where he mentioned that he was speaking on behalf of our great national leader Bangabandhu Sheikh Mujibur Rahman. The government of theSoverignStateon behalf of our great national leader, the supreme commander ofBangladeshSheikh Mujibur Rahman, do hereby proclaim the independence ofBangladesh. And that the government headed by Sheikh Mujibur Rahman has already been formed. It is further proclaimed that Sheikh Mujibur Rahman is the sole leader of the elected representatives of seventy five million people ofBangladesh, and the government headed by him is the only legitimate government of the people of the independent soverign state ofBangladesh…. It was impractical to think of the declaration of independence without mentioning name of Bangabandhu. His name carries more value than any political party. The sky is the limit to measure the popularity of Sheikh Mujib and the landslide victory of 70’s election was its reflection only. Zia read out the declaration on behalf of Bangbanandhu. Formation of Mujib Nagar Government carries the historic significance. IT was Friday, August 15, 1975. It was one of the most tragic days of our history. It reminded us of the dark night of March 25, 1971. The Father of the Nation, loved and respected in Bangladesh and the world over as a great hero, lay dead on the stairs of his famous residence at Road Number 32, Dhanmandi Residential Area. He was only fifty-five. We were twenty-year-old sophomores of Dhaka University. 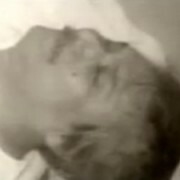 Who killed Bangabandhu? His people, whom he loved to a fault? No! They were unhappy with a few activities of his government but they never even dreamt of killing him. They who control the world like people who obey them. They don’t like nationalist leaders and great patriots like Bangabandhu or Allende. Thus, Allende dies but General Pinochet lives on and makes life miserable for his countrymen. There are many such instances in the Third World. If you want to kill a great leader, make him unpopular through planted journalists, corrupt and disgruntled bureaucrats and dismissed soldiers. Use some of them during his killing. Then get obedient people to rule the country and serve your purpose. No wonder our High Court has ruled that governments, which succeeded Bangabandhu and his cabinet were not legal. They had captured power by sheer force. At dawn on August 15, I got up to hear from my parents that Bangabandhu had been killed along with his family. Even ten-year-old Sheikh Russell was not spared. My initial reaction was of great shock. I was dumbfounded with sorrow. Bangabandhu didn’t deserve a death like this! He was our greatest politician. His love for his country and his people was beyond question. Who could kill our greatest patriot? The radio and TV were announcing his death at regular intervals. A certain Major Dalim was claiming credit for his death! Who was he? We had never heard of him before! There was fear, there was confusion. There was silent sorrow among his followers and people who admired him. There was celebrations too — we later heard. There were a few people chanting ‘Pakistan Zindabad’ somewhere in old Dhaka. There were a few Biharis, celebrating his death in Mohammadpur. But the patriotic Bangalee was silently shedding a tear or two for him. How could a Nelson Mandela or a Yassir Arafat get killed by his own people? They wondered. Well, they killed Abraham Lincoln and Mahatma Gandhi too, didn’t they? Some argued with themselves. Years later, I learned that the first procession to protest the death of Bangabandhu was organised by the boys and girls of Chhatra Union in nowhere else but my own district Kishoreganj. They warned the real killers that the death of this great patriot would turn Bengal into a Vietnam. Student leader, Kazi Abdul Bari led the procession. He had to suffer inhuman torture in jails for his noble protest against injustice. I feel honoured today to get a chance to salute this brave student leader. May Bangladesh be blessed with more Baris and not with Mushtaques and Dalims. What were the Chhatra League leaders and workers doing? They went into hiding because they were the most wanted people for the Mushtaque government. Many faced arrest and torture later on. I myself saw Abdur Razzak escaping through Dhanmandi Road Number 15 and Rayer Bazar. He was a big and healthy person then with no diabetes. We wanted him to escape, live and then protest. I saw him when curfew was withdrawn for an hour and a half for Jumaa prayers. We were not political activists but we were young and patriotic and not exactly cowards. A few of us got together and walked up to Bangabandhu’s residence, which was less than a mile from our area. There was army patrol on the roads and police guard in front of Bangabandhu’s residence. We heard that tanks were guarding Khandker Mushtaque in the Bangabhaban. We were not allowed inside Bangabandhu’s residence but nobody disturbed us when we sadly stood in front of House No. 32 and quietly saluted the greatest son of Mother Bengal. The killing of the full family was too great a shock for us. We spotted bullet marks on the walls. An uncle of mine worked for BTV as a news journalist. 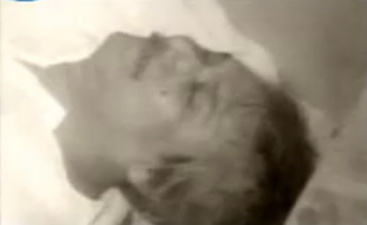 He had a chance to see Bangabandhu’s dead body the next day as a member of the BTV news team. We had listened to him in rapt attention when he told us what he saw inside. Before the curfew was clamped again on August 15, we also managed to see Sheikh Moni’s residence. There were big signs of machine gun firing on the walls. Women and children were not spared in this house too. Why this mindless killing? To spread fear? To terrorise the people and keep them quiet? There was no Awami League worker to be seen. There was not even a Bengali nationalist to protest his death. These two types were shedding silent tears. Dhaka had suddenly gone back to the Pakistani days, it appeared. It was a heart-rending experience for us. Thirty lakh people had embraced martyrdom for nothing? There were rumours galore. Bangabandhu was alive and not dead? Sheikh Kamal had escaped too? India could attack us any time. 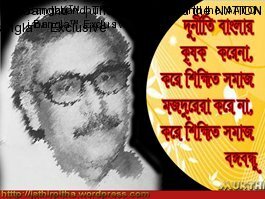 O God, keep Bangabandhu alive! This man doesn’t deserve such a death. We silently prayed for him. Khandker Mushtaque claimed himself President since the morning but took the oath in the evening. The Acting Chief Justice of the Supreme Court, Justice Syed A.B. Mahmud, administered the oath to him. The Vice President, ten Ministers and six State Ministers also took oath. There were a few respected names in the cabinet. Were they forced to join Mushtaque? The three services chiefs were present. Members of Parliament charged with corruption by Bangabandhu were also present. Mushtaque, it appeared, wanted to tell the world that only Bangabandhu was corrupt and his ministers had no fault. The silence of the Rakkhi Bahini surprised many. A formal reaction of the Indian and the Russian governments was not coming. Ambassador Samar Sen was in Delhi. The Pakistan government was quite happy. Bhutto’s reaction said it all. We recollected that both Bhutto and Kissinger had visited Dhaka a year or so back. Bangladesh Betar had instantly become Radio Bangladesh. What was wrong with the Bangla name? The curfew helped Mushtaque to take control in less than fifteen hours. People talked about his cunning. A few secretly called him the new Mir Jafar. He spoke to the nation in the evening. His nice words couldn’t remove our fear and anxiety. We were happy to note that the stalwarts of the Mujibnagar government didn’t join Mushtaque. 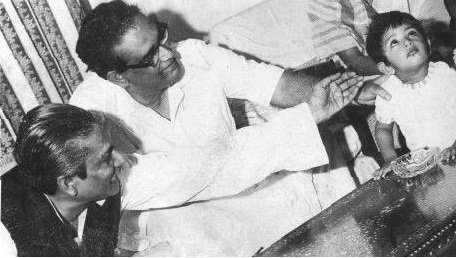 Syed Nazrul Islam, Tajuddin Ahmed, Captain Mansur Ali and A.H.M. Kamruzzaman didn’t betray their leader. Abdus Samad Azad, Zillur Rahman, Abdur Razzak and Tofayel Ahmed didn’t join Mushtaque either. We went to sleep with heavy hearts. 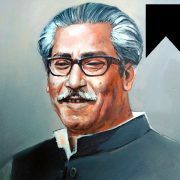 We loved and respected the martyred Bangabandhu even more. He had his tragic flaws but he was our greatest hero, wasn’t he? He was our greatest hero of the past, the present and the future. My twenty-year-old heart profusely bled for him. I was a budding writer. How could a writer not weep over the death of his land’s greatest patriot? Author : Junaidul Haque writes fiction, essays and reviews books.